Happy Boxing Day! 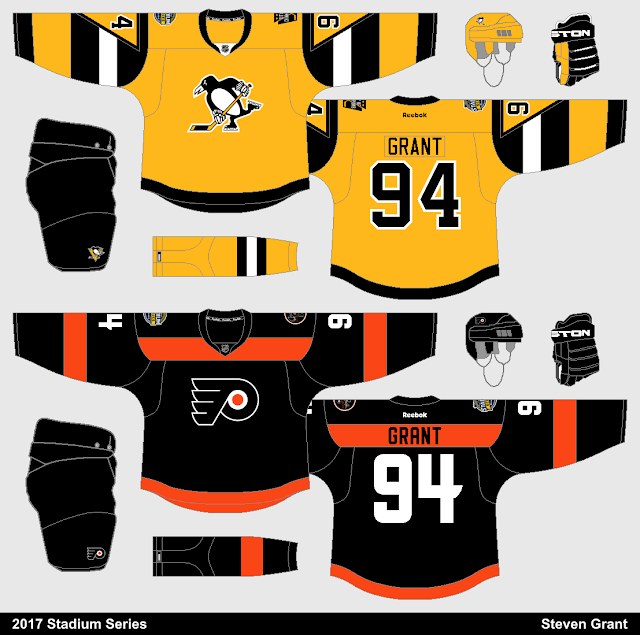 Here's a Stadium Series concept. You might recognize the design of the Flyers jersey, as it's basically just a recoloured version of my "New Look" Flyers concept. The Penguins jersey is based off of an old concept of mine as well, but that concept is from way back in 2013. Also, I hope to get back to my NHL Double Series soon (I already have ideas for a couple of teams).